Sleek's Candy Collection- Blush By 3 in "Sweet Cheeks"
When I first spied this blush palette, I just knew instinctively that it would be mine. To me, it just screamed summer with it's vibrant pink, almost intimidating hues. I am not sure whether it was the hot pink collaboration or the allure of a cream and powder combination that caught my eye. A long time fan of Sleek, especially their blushes, I had high expectations of this. I ordered this on Cloud 10 Beauty and it set me back the meagre sum of €12.49- a real steal considering you are getting three decent sized pans of product. 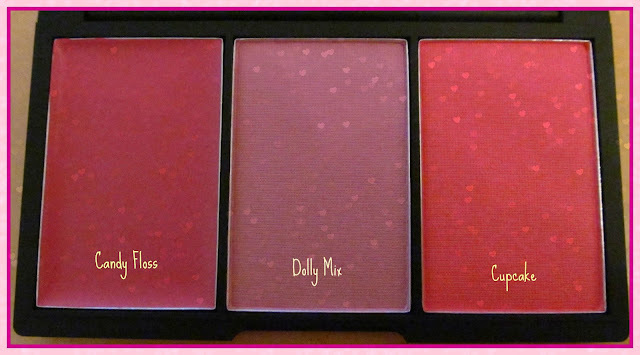 The blushes have three different finishes- one cream blush and two powder blushes, one matte and one shimmer. Candyfloss is a highly pigmented, hot pink cream blush. A little of this goes a very very long way- and get ready to blend blend blend with this one to avoid looking like you got a slap in the cheek. It is very easy to work with. 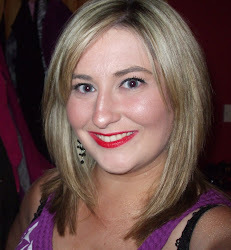 Dolly Mix is a beautiful, cool toned pink that almost leans lilac, and I love this when my fake tan has faded out a bit. It is completely matte so it leaves a lovely natural healthy looking flush of colour on the cheeks. It is probably my favourite blush out of the three in this palette. Finally, Cupcake is a super, uber bright blue toned pink with a slight gold shimmer running through it. Again, you will need to give your brush a good tap before putting it near your cheeks. Overall, I absolutely love this palette. I don't use it every day admittedly, my conservative day job does not lend itself too easily to the wearing of hot pink cheeks, but I can see myself really getting so much use out of this. The pans and colours do appear to be very scary, but it is quite easy to apply them very lightly and build up to your desired effect gradually. The palette itself is nice and sturdy- the typical matte black packaging that we have come to know and love by now, and the fact that Sleek are now cramming three whole pans of product into the one compact is credit worthy in my opinion. I have some other Blush By 3 palettes and the Face Form palette and I absolutely love and adore them. So if you are looking for fat free and guilt free cosmetics this summer, I urge you to check out this palette whilst it is still around (as it is Limited Edition!). There is also an i-Divine palette in the collection but it was a little too outrageous for my liking (i.e. not enough browns!). If you have tried this or have been trying to find this, let me know. Wow, amazing colours! Price is really good too for effectively three products. Great find! 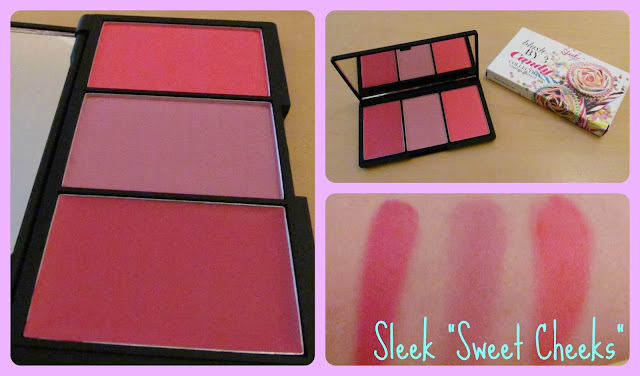 I love Sleek blushes, I always think they're so pigmented! These 3 colours are so pretty!